How to do Website Analytics? After working for years in mainly website analytics, let me help you understand the term a bit better in as simple and as non-technical language as is possible. Everything that happens on your website can be captured. Every behind-the-scenes activity of what the users are really doing on your website. Every page viewed, every action performed, everything actually bought, pages viewed before buying and so much more. All this and more represents visitor behavior on your website. Now the data where it’s captured in itself is quite useless. You need to understand the data, clean them, merge them and convert them into bite sizes of actionable insights for your business. These actionable insights customized for your business can help you improve your business, customer experience, increase your bottom lines, help your customers and much more if you leverage the data in an effective manner. So, firstly why even do Website Analytics? The first step is to capture the data of your websites. Now, this has been written and talked about so much already and is actually a simple process if it’s a small – medium website. 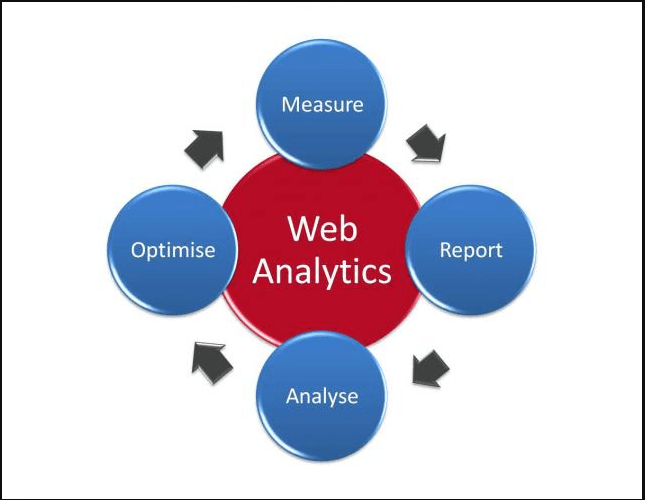 The most famous tool used by most websites is “Google Analytics”. For companies with over 100,000 visitors/month and in need of multiple user segmentation reports without sampling and very accurate data should go ahead and use either an Analytics 360 degree product or the various other big data web analytics tools. Except for Google Analytics, there are a plethora of tools out there that can be used – it all really depends on your current set of requirements, budget and the level of analytics you want to do. Here’s a great list compilation with all features, pros, and cons to getting started in your research. Before jumping to any data analysis, reporting, dashboards, and other analytics-driven – it’s very important to ask the actual business questions for full context. Without this, all we are doing is report dumps, data dumps. Avinash Kaushik explains this concept in detail on his famous blog. What are the most effective marketing channels we can use to get website traffic? What are some strategies I can use to build goodwill and relationship with our website visitors? How can I improve my revenue by 50% in next 6 months from our website? So, finally a little about my brief experience with Web analytics. Having worked with Fortune 500 companies, small medium businesses directly and helping them understand their data (especially website data), visualizing their data, performing multiple analysis by deep-diving into data, creating executive dashboards and lastly, extracting actionable insights out of them – it has been quite a journey! Currently, I’m working with SMBs and helping them with all kinds of web analytics and data visualization requirements that they have. Now, that you have read this and understood the importance of Website analytics, it’s time for you to go and set up processes to start collecting data from Day 1 (if you haven’t already done it yet) so that you can leverage it in a manner to improve your business. The simplest process is Google Analytics if you are starting out. If you already have existing data, you can start finding the best option from the various lists shared above as per your requirements. Website Analytics is an ongoing journey, it’s not just one thing that you do at the start – it’s an ongoing iterative process to better understand your users, your data in a meaningful manner to continually improve your website and reach your goals.